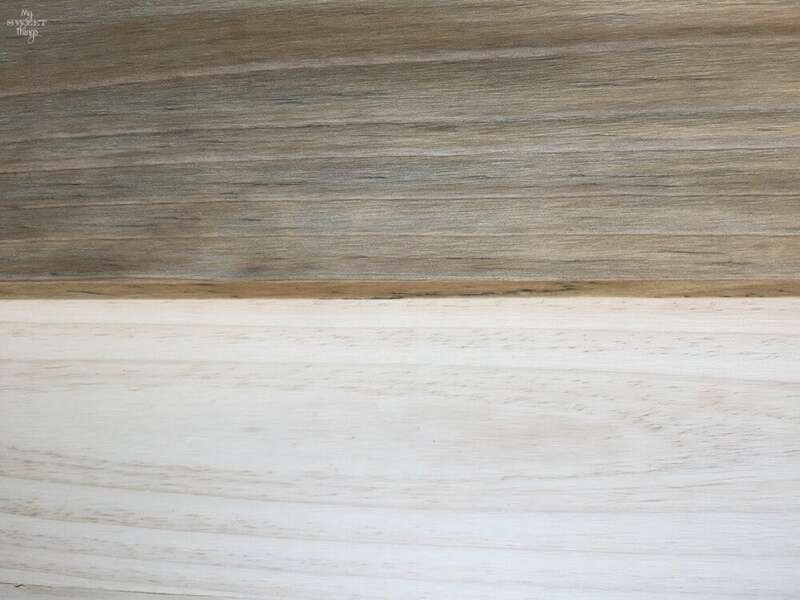 This post on how to weather wood is an extension of my post on how to dye wood the green way, but if you have some wood that you plan to weather you can follow the directions too. I had this dyed wood and planned to weather it so it looked more worn out. 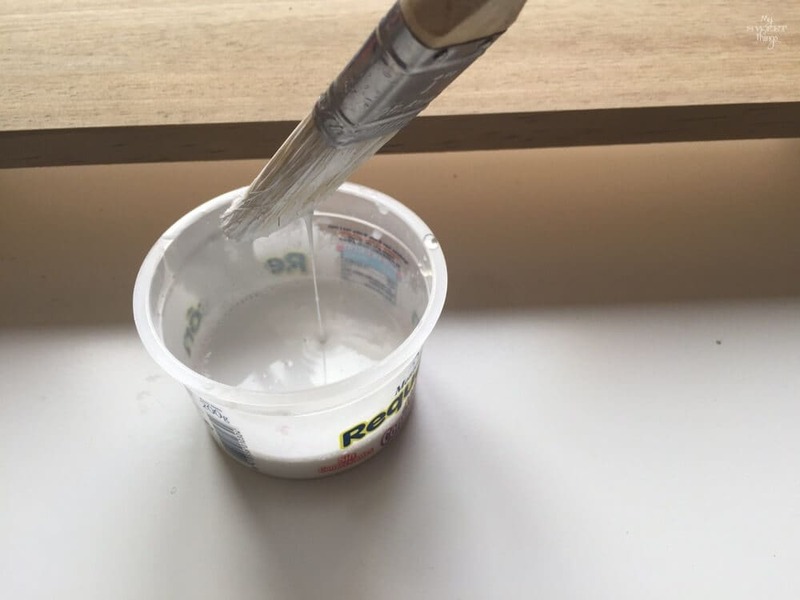 Add paint and water in a container. I normally use the 50-50 ratio, or even 40 paint and 60 water, depending on the look I want to achieve. Then brush the wood with it. As you can see the paint is very light and it doesn’t cover it totally. Take the rag and wipe it off while the paint is still wet. The way I do it is brushing some paint in a small area and then wipe it off, and move to the next area. 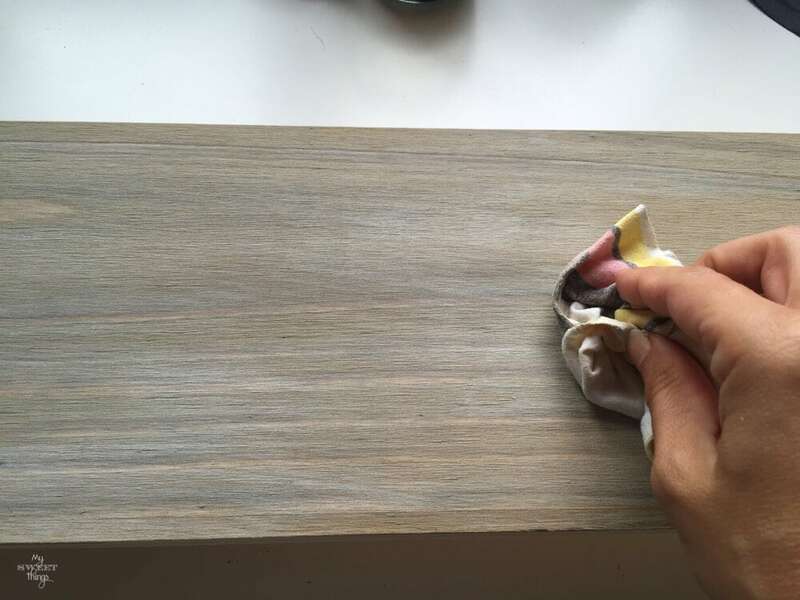 If you find the paint is too light you can do several things: one is modifying the paint + water ratio (more paint), or brush the wood twice or more until you get the look you are looking for. Below you can see my weathered wood -in the middle- ready for the table I am re-doing. Stay tuned! This is how I weather wood, it is such a simple technique but has beautiful results! Have you ever tried weathering a piece of furniture? Do you like the style, or prefer a more conventional look? If you want you can have a look at some other DIY or tutorials at my Gallery. This entry was posted in DIY and tagged DIY, Furniture, Tutorial, Weathered look, wood. I absolutely love this look, like white washed look. It is rustic and light at the same time. Simply gorgeous. I also really want to try this, I just have to find the right piece of furniture. Thanks for the tutorial! Right Mary, it is white wash. You can take any plain wood and turn it into a fake old one. Glad you find it useful! Pili, great job on the how-to on a weathered wood look!! We’re actually planning on using this method on our garage. So cool!! Great tip Pili and so fun to use with white or muted colors. Looking forward to seeing your table makeover. Thank you for sharing this great tutorial, Pili! I’ve never tried this but pinning for later. You are very welcome, Megin. This technique is really cool, and you can’t go wrong… Once you try it then you keep looking for things to “weather”. 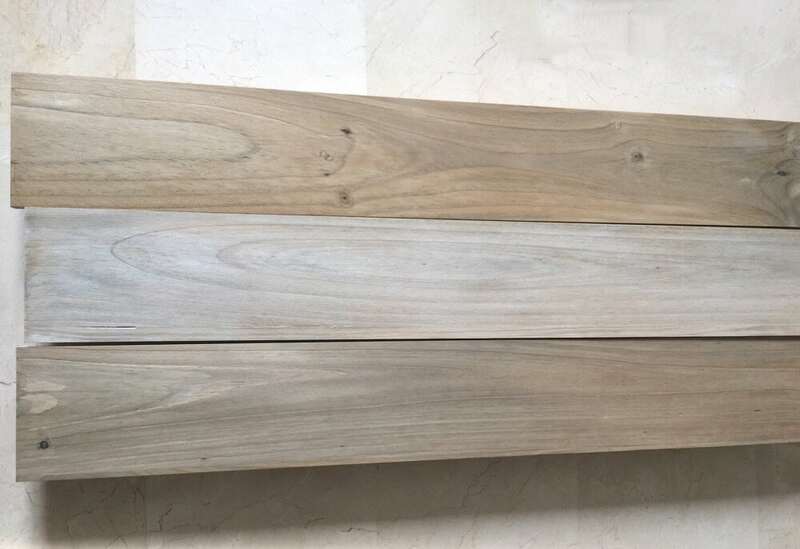 I love the different colors of the aged wood that you get with this method depending on the amount of paint or water. I have tried this technique and the vinegar and steel wool technique as well. Hi Pili, Love this tip! I have a few projects that this would go well with! Thanks so much for sharing with us at Brag About It! Pinned and tweeted! Hi, Laurie!! 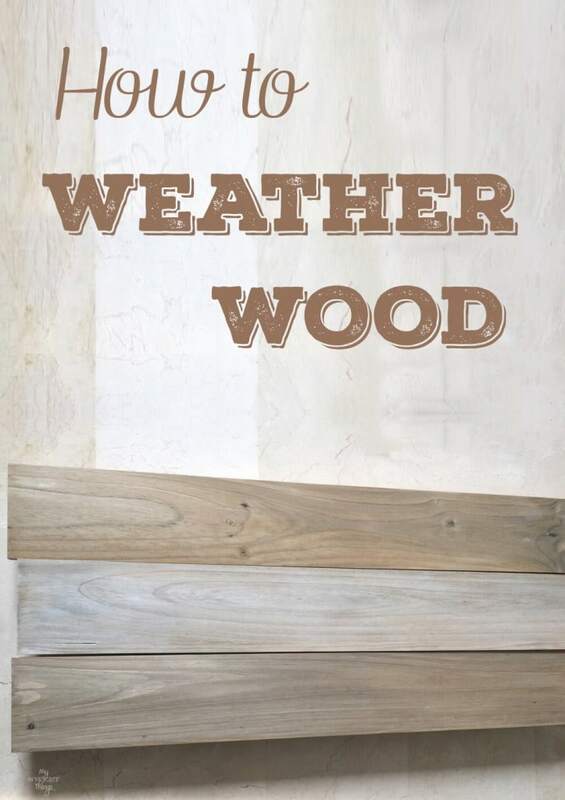 Weathered wood works great with any wood project. What a cool thing! I never knew you could weather wood like that. Thanks for sharing your craft at the Over the Moon Link Party. That’s the affordable, easy and green way to do it, Sandy!! Glad you like it too, Jess! So gorgeous! I always wondered how this was done, and you make it look so easy!! It is easy indeed, Morgan!! Now it’s not a secret and maybe you can give it a try. That looks super easy Pili. I can’t wait to see what you are doing with your table project! I’m sorry I was so behind the comments… I know you saw my table, the Ikea rast makeover. You share the most useful tips! I had no idea how to do this, but now I do. Thanks for sharing and for linking up with us at #TALENTEDTuesday. Hope you are having a lovely day Pili! Not difficult at all, right? And the result is worth to try. Thanks so much for stopping by, AJ!! Pili, I love this look! It can make a new piece look like a treasured piece! So cool. You are so creative I love visiting, I always learn something new!!! This is what I call DIY on the cheap, no need for expensive stuff. I am grateful you always take the time to stop by and leave your sweet comments, Nikki. Thanks so much! Great tip Pili! I never knew that weathering wood could be so easy, Thanks so much for sharing this great idea at Vintage Charm. Really easy, Tuula. It took me longer to write the post that to weather the wood. Thanks for the visit! Have a wonderful week! Thanks for sharing over at the DIY Crush Craft Party. 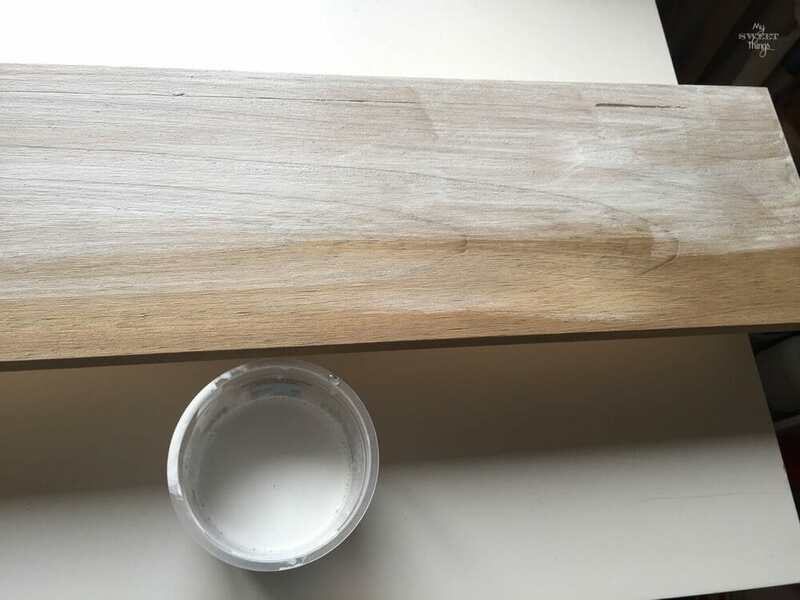 A great tutorial for weathering wood! We’ve added this to our Pinterest board. Don’t forget to stop by next Thursday to add your tutorials to our next DIY Crush Craft Party! Thanks so much for stopping by and sharing, Domenica! !